The 2016 College Football season is coming fast and that means prediction time. 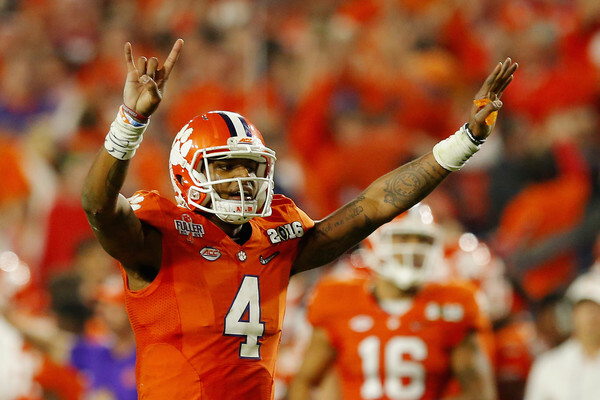 Below are five predictions for Atlantic Coast Conference for the 2016 season. Some predictions will be right, some predictions will be wrong, and some will be spectacularly awful (or correct) by the end of the season. There are no changes for the Atlantic Coast Conference as the fourteen teams remain the same and are split into Atlantic and Coastal Divisions. The seven teams in the Atlantic Division are Boston College, Clemson, Florida State, Louisville, North Carolina State, Syracuse, and Wake Forest. The seven teams in the Coastal Division are Duke, Georgia Tech, Miami (FL), North Carolina, Pittsburgh, Virginia, and Virginia Tech. 1. Georgia Tech will get back to a bowl game – 2015 was not a good year for the Yellow Jackets. They went 3-9 overall and saw their offensive output fall below 30 points per game for the first time since 2010. Georgia Tech did lose five games by seven points or less and if they can flip some of those to wins, they will easily make a bowl game. The offense has six starters back including quarterback Justin Thomas as well as running backs Marcus Marshall (led team with 654 yards in 2015) and Clinton Lynch (457 yards and 5 touchdowns). Top receiver Ricky Jeune is also back after recording 24 catches for 520 yards and 4 touchdowns. The defense has only five starters back from a unit that gave up 25.8 points and 368 yards per game last year. That group may struggle at times, but the front four has three starters back after allowing 165 rushing yards per game. The schedule is what favors Georgia Tech to make it back to a bowl. They face Boston College on the opening weekend in Ireland before getting Mercer, Vanderbilt, Clemson, and Miami (FL) all at home the next four weeks. After a road game at Pittsburgh, they will play Georgia Southern and Duke at home. They end the season with three road games in their last four with North Carolina (road), Virginia Tech (road), Virginia (home), and Georgia (road). Even if GT is able to beat the teams that look most likely (BC, Mercer, Vandy, GS, Duke, and Virginia) they will make a bowl game. 2. The ACC Champion will make the National Championship – This prediction is mainly tied to Florida State and Clemson out of the Atlantic. It appears it will come down to that game between them on October 29th at Doak Campbell. Florida State has all their offensive starters returning and will also have six starters back form a defense that allowed 17.5 points and 337 yards per game in 2015. Clemson made the National Championship last year playing the incredible game against Alabama that they lost 45-40. They have eight starters back on offense led by DeShaun Watson and running back Wayne Gallman. The defense has only four starters back, but that is not necessarily a bad thing. Entering 2015, the Tigers had only three starters returning and still only allowed 21.7 points and 313 yards per game. Assuming it is one of these two teams that plays in the College Football Playoffs, they will be extremely tough to beat in the Semifinals and the National Championship. 3. Pittsburgh will have a double digit win season – There is potential for Pittsburgh to have a great season led by the return of running back James Conner. The Panthers went 8-5 in Pat Narduzzi’s first season and there is no reason to think they cannot improve again. The offense has eight starters back from 2015 after putting up 28.2 points and 377 yards per game. Conner’s absence was filled by Qadree Ollison who was named 2nd Team ACC and ACC Rookie of the year after rushing for 1,121 yards and 11 touchdowns (5.3 YPC). They provide a one-two punch with quarterback Nathan Peterman back as well. The receiving unit is a bit of a worry as they lose Tyler Boyd and only have Dontez Ford (26 catches for 505 yards and 2 touchdowns) back from 2015’s top three. The defense has eight starters back from a group that allowed 26.1 points and 363 yards per game. They will be in the second year of Narduzzi’s schemes with the top three tacklers back. They also add in Tennessee transfer DeWayne Hendrix on the line and highly touted freshman Damar Hamlin in the secondary. This group should improve noticeably in 2016. The schedule is manageable for Pittsburgh early on. They face Villanova and Penn State at home before back-to-back road games at Oklahoma State and North Carolina. They will then face Marshall and Georgia Tech at home to start October which will go a long way to determining if they hit 10 wins. They finish October at Virginia and home to Virginia Tech before playing Miami and Clemson in back-to-back road games to kick off November. They close the regular season against Duke and Syracuse, two more winnable games for them. The potential is there for Pittsburgh to reach 10 wins and they can certainly do it with this team. As usual, the big question with potential is will they actually show it? 4. Boston College will average at least 25 points per game on offense and give up less than 20 points per game on defense – 2015 was a year to forget for Boston College as they went 3-9 and failed to win a game in conference. The offense was horrendous as they averaged a putrid 17.2 points and 276 yards per game, but they did have only two starters back. The defense, however, was excellent as they allowed only 15.3 points and 254 yards per contest with six starters back. It was by committee at nearly every position in 2015 for the offense. The top running back had 450 yards rushing while the top quarterback had 464 yards passing. Patrick Towles transferred in from Kentucky and he has the potential to top those 464 yards in just a single game. The top three receivers are back from 2015 and the presence of Towles alone should double the numbers of Thadid Smith (17 catches for 233 yards and 2 touchdowns) and Charlie Callinan (14 catches for 192 yards and 2 touchdowns). The offensive line has three starters back and there is no reason the offense should come close to the terrible numbers they put up in 2015. The defense was stout last year and this year’s group has seven starters returning. The defense allowed just 83 yards rushing per game and 172 through the air. The secondary will have three starters back while middle linebacker Connor Strachan (75 tackles and 10.5 tackles for loss) returns to anchor the middle three. There will be a new defensive coordinator with Jim Reid, but this group is very good. 5. Duke’s bowl streak will end at four – This is a tough prediction to make and quite frankly, one that we hope is wrong because Duke’s resurgence is great to see. Each side of the ball has six starters back on each side, which is similar to last year’s numbers (six on offense and five on defense in 2015). They put up 31.5 points and 439 yards per game while giving up 25.4 points and 395 yards per game in 2015. The challenge for Duke is the schedule. The open with FCS North Carolina Central and Wake Forest at home before back-to-back away games against Northwestern and Notre Dame. Next up are two games that are winnable, but will still be a challenge at home against Virginia and Army. The final six games are killer for Duke as they face Louisville (away), Georgia Tech (away), Virginia Tech (home), North Carolina (home), Pittsburgh (away), and Miami (away). It will take a few of those Duke upsets to get back to a bowl game in 2016. With the ACC predictions above, there are now predictions for eight conferences in the books. Below are the predictions completed and which conference is next. We have reached the Power 5 conference previews with the Big 12 on Friday, July 31 and we continue on with the ACC’s Coastal Division. It is a contentious group of seven programs that nearly have a chance to claim a piece of the division title on paper. Below is the schedule of previews left, as well as the previews already published. Below is a look at the ACC Coastal Division. Larry Fedora has been with North Carolina for three years and came in with academic issues plaguing the program. The Tar Heels went 8-4 in Fedora’s first year, but were not eligible for a bowl game. In 2013, UNC went 7-6 and then 6-7 last season. Fedora will be under pressure to turn the program back around with his most experienced team in his tenure. The offense has 10 starters returning form a unit that put up 33.2 points and 430 yards per game. Quarterback Marquise Williams threw for 3,068 yards with 21 touchdowns and 9 interceptions and was also the leading rusher with 788 yards and 13 touchdowns. Running back has TJ Logan (582 yards and 3 touchdowns), Romar Morris (278 yards and 4 touchdowns), and Elijah Hood (259 yards and 4 touchdowns) all back while one of those three should rush for more yards than the QB. The top four receivers also return with Ryan Switzer leading the team last year with 61 catches for 757 yards and 4 touchdowns. Mack Hollins caught 35 passes for 613 yards and 8 touchdowns as well. With the entire offensive line returning intact, the offense should be one of the most explosive in the ACC. The defense was uncharacteristically bad last season giving up 39 points and 498 yards per game with seven starters back. Fedora’s defenses had given up 24.5 points and 25.7 points in his first two seasons. Seven starters return again this season with only three in the front seven. Linebacker Jeff Schoettmer was second on the team in tackles with 74 while also recording 6 tackles for loss, 4 pass breakups, 2 interceptions. The entire secondary is back as well as some experienced backups. Desmond Lawrence was the top defensive back with 71 tackles, 0.5 sacks, 3 tackles for loss, and an interception. The defense will bounce back in a big way in 2015. North Carolina opens with South Carolina in Charlotte before welcoming North Carolina A&T, Illinois, and Delaware to town the next three weeks. In conference, UNC faces Georgia Tech, Pittsburgh, and Virginia Tech on the road. They will also face Virginia, Duke, and Miami (FL) at home. From the Atlantic they face Wake Forest (home) and North Carolina State (road). In a wide open ACC Coastal, North Carolina will have one of the top offenses and improved defense to help them back to a winning record and possible ACC title game appearance. Virginia Tech joined the ACC in 2004 and ripped off eight straight years of double digit victories. The Hokies won 4 ACC Championships and appeared in another two title games between 2004 and 2011. Since then, VT has failed to win more than eight games in a season. Will another mediocre season turn up the heat on Frank Beamer? The offense has eight starters back from a unit that put up 24.1 points and 365 yards per game in 2014. Michael Brewer is back at quarterback after throwing 2,692 yards with 18 touchdowns and 15 interceptions. The entire running back unit returns led by JC Coleman with 533 yards and 5 touchdowns and Marshawn Williams with 475 yards and 4 touchdowns. The top three wide receivers return as well in Isaiah Ford (56 catches for 709 yards and 6 touchdowns), Bucky Hodges (45 catches for 526 yards and 7 touchdowns), and Cam Phillips (40 catches for 498 yards and 3 touchdowns). The losses are on the offensive line where only two starters are back. There may be some issues on the line to start the season, but the offense should be able to put up better numbers in 2015. The defense for Virginia Tech is usually one of the best in the nation each season. Last year, with only five starters back, the defense gave up 20.2 points and 344 yards per game. This year, eight starters return including the entire defensive line. Dadi Nicolas had 72 tackles, 9 sacks, and 9.5 tackles for loss en route to landing on the 2nd Team ACC squad. The unit allowed 145 rushing yards per game, which is the second worst in the last seven years. Expect that number to improve. Deon Clarke is the only linebacker returning, but he was the second leading tackler last year with 74 stops, 5 sacks, 6 tackles for loss, and an interception. Three in the secondary are back led by the dominant corner Kendall Fuller. Fuller had 54 tackles, 2 sacks, 2.5 tackles for loss, 15 pass breakups, and 2 interceptions last year while being named 2nd Team All-American. The defense will be stout once again under Beamer and Bud Foster. Virginia Tech opens the season with a game at home on Labor Day against Ohio State, the same team they beat last year on the road. OSU went on to win the National Title. After that, they will take on Furman (home), Purdue (road), and East Carolina (road) to round out their non-conference schedule. In conference, VT will face Pittsburgh, Duke, and North Carolina at home while going on the road to lay Miami (FL), Georgia Tech, and Virginia. From the Atlantic division, VT will be taking on North Carolina State at home and Boston College on the road. It should be a bounce back year for Virginia Tech and they have a good shot at reaching the ACC Championship Game as well. Duke’s athletic department showed a lot of patience with David Cutcliffe in the first four years. Cutcliffe did not have a winning season in his first four years before reaching a bowl game in 2012 for the first time since 1994. Duke then won the ACC Coastal in 2013 and went 9-4 last year. Cutcliffe is excellent at getting his Duke teams to overachieve. The offense for Duke has six starters back, but loses their top quarterback in Anthony Boone (2,700 yards, 19 touchdowns, and 8 interceptions; 375 yards rushing and 5 touchdowns). Thomas Sirk is likely to get the starting QB duties after showing the ability to throw and run (238 yards and 8 rushing touchdowns). The top rushing duo of Shaquille Powell (618 yards and 2 touchdowns) and Shaun Wilson (598 yards and 5 touchdowns) return, but the top two receivers do not. Jamison Crowder was easily the best receiver last year with 85 catches for 1,044 yards and 6 touchdowns, but he is gone. Max McCaffrey will move into a bigger role after catching 37 passes for 385 yards and 3 touchdowns. The offensive line has three starters back as well, but it will be hard to match last year’s output of 32.4 points and 398 yards per game without some of the weapons. The defense returns seven starters from a unit that allowed 21.8 points and 400 yards per game in 2014. Carlos Wray is the only returning starter on the line, who had 39 tackles, 1.5 sacks, and 0.5 tackles for loss. Nose guard AJ Wolf did not start a game, but managed to record 23 tackles and 1.5 tackles for loss last year. Kelby Brown is back at linebacker after missing 2014 due to a torn ACL. Brown had 114 tackles and 11 tackles for loss as a first team ACC selection in 2013. He is a welcomed addition to the defense this year. The secondary is back with all five starters from a group that allowed only 207 passing yards per game and 55.8% completions. 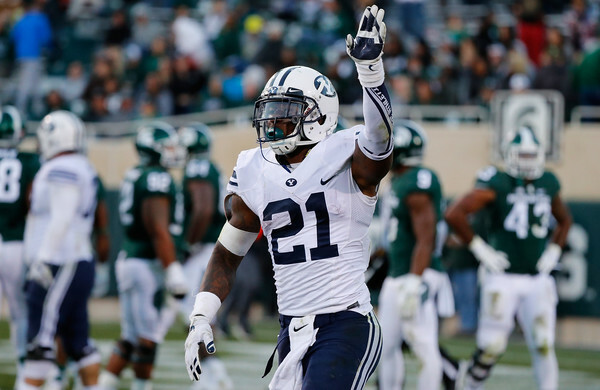 DeVon Edwards (133 tackles), Jeremy Cash (111 tackles), Deondre Singleton (70 tackles), and Byron Fields (70 tackles) were the second, third, fourth, and fifth leading tacklers respectively last season. The secondary will be the strength once again 2015. Duke opens with a road game against Tulane before welcoming North Carolina Central and Northwestern to Durham. They also face Army on the road in October as their final non-conference game. In conference, they will face Georgia Tech, Miami (FL), and Pittsburgh at home. On the road, they will have Virginia Tech, North Carolina, and Virginia. From the Atlantic division, Duke has winnable games against Boston College (home) and Wake Forest (road). Duke may not be as good on offense, but Cutcliffe has been excellent with Duke the past two years and the schedule is quite favorable with their Atlantic opponents. Expect another solid year from Duke. 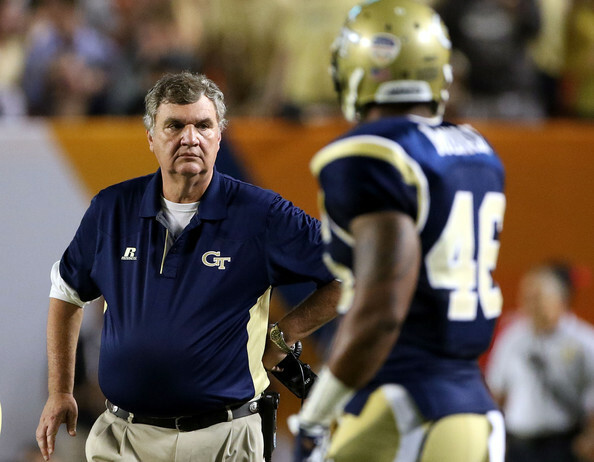 Paul Johnson has been at Georgia Tech seven years and has led them to a bowl game each year. Johnson has also led Georgia Tech to three ACC Championship Games (1-2 record) including two in the last three years (0-2 with both losses to Florida State). Georgia Tech lost 37-35 to Florida State last year in the ACC title game and finished with a 49-34 win over Mississippi State in the Orange Bowl. The offense has suffered heavy losses with only five starters back. Luckily for GT, one of the returning starters is quarterback Justin Thomas. Thomas threw for 1,719 yards with 18 touchdowns and 6 interceptions. More importantly, he was the leading rusher on the team with 1,986 yards and 8 touchdowns. A heavy burden will be placed on him without any of the other top rushers back. One of the projected starting running backs is Broderick Snoddy who had 283 yards and 3 touchdowns. Another is Dennis Andrews, but he ran for only 106 yards last year on 16 carries. The top returning receiver is Snoddy, who had 3 catches for 100 yards. There are four starters back on the offensive line to help ease the transition as well. The last time only five starters were back for GT was in Johnson’s first year in 2008. That offense put up only 24.4 points and 372 yards per game. Expect the offense in 2015 to eclipse those numbers, but will not come close to matching last year’s output of 37.9 points and 477 yards per game. The defense has eight starters back in 2015, tying for the most returning starters under Johnson’s tenure (2010). 2014’s defense allowed only 25.7 points and 411 yards per game despite only four starters back. The defensive line has three starters back anchored by 2nd Team ACC nose tackle Adam Gotsis. Gotsis had 36 tackles, 3 sacks, 3.5 tackles for loss, and an interception. Also on the line is KeShun Freeman, who had 54 tackles, 4.5 sacks, and 5 tackles for loss. PJ Davis is only one of two linebackers in this scheme, but he is a big returning starter. He led GT with 119 tackles while also recording 4 sacks, 4.5 tackles for loss, and an interception. The entire secondary, except for nickelback, returns led by DJ White. He had 66 tackles, 2.5 tackles for loss, 8 pass breakups, and 4 interceptions last year. The defense should improve on the yardage total, if not the points total as well. Georgia Tech opens the year with Alcorn State and Tulane at home before a road trip to Notre Dame. Their last non-conference game is the season finale against arch-rival Georgia with the game at home. In conference, they will have Duke, Virginia, and Miami (FL) on the road while facing North Carolina, Pittsburgh, and Virginia Tech at home. From the Atlantic Division, they have to face Clemson on the road and Florida State at home making this schedule quite difficult. Georgia Tech’s offense will need to get going if they are to win the division again. However, they can still expect a bowl game appearance and the defense will be keeping them in most games. Al Golden arrived in Coral Gables in December 2010 amidst controversy within the football program. He finished 6-6 in 2011 and 7-5 in 2012, but the Hurricanes were not eligible for a bowl game due to an NCAA investigation. Miami went 9-4 in 2013 and 6-7 in 2014 leaving some to wonder if Golden is on the hot seat in 2015. The offense returns five starters from 2014 in which they put up 29.2 points and 430 yards per game. One player who will not be back is Duke Johnson, who had 1,652 yards and 10 touchdowns rushing while also being the third leading receiver with 38 catches for 421 yards and 3 touchdowns. Brad Kaaya, who will be back this season, threw for 3,198 yards with 26 touchdowns and 12 interceptions. The top returning rusher is Joseph Yearby, who had 509 yards and a touchdown on 86 carries. Gus Edwards also returns after rushing for 349 yards and 6 touchdowns on 61 carries. The receiving corps took a hit with Phillip Dorsett and Clive Walford, the top two receivers in 2014, moving on. Herb Waters had 20 catches for 277 yards and a touchdown while Malcolm Lewis had 25 catches for 248 yards and a touchdown. The offensive line has only two starters back and the offense may struggle without the top playmakers from a year ago. The defense returns six starters from a group that allowed 24.3 points and only 330 yards per game in 2014. The defensive line has only one starter back in Calvin Heurtelou (25 tackles), but Ufomba Kamalu performed well despite only one start. Kamalu had 34 tackles and 3.5 sacks last year. Two linebackers return in Tyriq McCord (48 tackles, 3 sacks, and 3.5 tackles for loss) and Raphael Kirby (54 tackles, 4.5 tackles for loss, and 2 interceptions). The secondary has three starters back led by Deon Bush with 53 tackles, 2 sacks, 2 tackles for loss, and 2 interceptions. Golden’s defenses usually perform well and that should continue in 2015 as well. Miami has an easy start to the season with Bethune-Cookman coming to Coral Gables before a road trip to face Florida Atlantic. The second half of the non-conference schedule is far more difficult with Nebraska visiting and then Miami going on the road to face Cincinnati. Miami will face Virginia Tech, Virginia, and Georgia Tech at home while playing Duke, North Carolina, and Pittsburgh on the road. They have the worst draw from the Atlantic division with Florida State (road) and Clemson (home). Miami’s offense will be the concern this year without their top players from 2014 and the schedule is tough. However, Miami should make a bowl game and could surprise with a higher finish. Todd Graham became Pittsburgh’s head coach in 2011, but led them to a 6-6 record before leaving for Arizona State. Paul Chryst took over in 2012 and led the Panthers to three straight 6-6 regular seasons. They lost the 2012 bowl game to finish 6-7, won in 2013 to finish 7-6, and he left for Wisconsin before Pitt lost the Armed Forces Bowl 35-34 to Houston and finished 6-7 again. Pat Narduzzi is the new head coach in 2015 and he was the defensive coordinator at Michigan State from 2007 through 2014. Narduzzi will have eight starters back on offense including his biggest playmakers. Chad Voytik threw for 2,233 yards with 16 touchdowns and 7 interceptions and he will be returning along with wide receiver Tyler Boyd. Boyd caught 78 passes for 1,261 yards and 8 touchdowns and is one of the top receivers in all of college football. Boyd will miss the opening game against Youngstown State. Also returning for 2015 is running back James Conner. He had 1,765 yards and 26 touchdowns giving Pittsburgh a nice 1-2 punch in the passing and rushing game. The offense put up 31.8 points and 435 yards per game in 2014 and could match those numbers this year. However, the Panthers need to develop second and third options in the passing game behind Boyd. The defense, which is Narduzzi’s specialty, will have seven starters back from a group that allowed 26.3 points and 360 yards per game in 2014. Three starters are back on the defensive line led by Darryl Render. Render had 32 tackles, 2 sacks, 4 tackles for loss, and 4 pass breakups. Matt Galambos is the lone returning linebacker and he was third on the team in tackles last year. He had 72 tackles, 4.5 tackles for loss, and an interception. the secondary return three starters including Reggie Mitchell. Mitchell had 52 tackles, 1 sack, 2 tackles for loss, and 7 pass breakups. The defense should be solid even with new schemes under Narduzzi. Pittsburgh opens the season against Youngstown State at home before back-to-back road games against Akron and Iowa. They conclude their non-conference slate at home against Notre Dame on November 7. In conference, they will face Virginia Tech, Georgia Tech, and Duke on the road while playing Virginia, North Carolina, and Miami (FL) at home. From the Atlantic, they will have a road game at Syracuse and get Louisville at home. Pat Narduzzi enters a great situation with the offensive firepower and Pittsburgh should be back in another bowl game, if not pulling a few surprises in the ACC. Mike London went 4-8 in his first season in 2010 before having an excellent 8-5 season in 2011. Since then it has been rough. Virginia went 4-8 in 2012 and then fell to 2-10 in 2013. Last year, the Cavaliers went 5-7 and several close loss throughout the season prevented them from reaching a second bowl game under London. The pressure is on to get Virginia back to a bowl game for Mike London. The offense returns five starters this year from a unit that put up 25.8 points and 374 yards of offense per game. The quarterback position was not settled last year and Matt Johns is expected to be the starter. Johns threw for 1,109 yards with 8 touchdowns and 5 interceptions while starting on three games and playing in all 12. The top two running backs are gone, but highly touted Taquan Mizzell ran for 280 yards and 2 touchdowns on 64 rushes last season. The top receiver is back in Canaan Severin, who had 42 catches for 578 yards and 5 touchdowns. The offensive line does return four starters, but there are some serious concerns with the running backs and wide receivers this year. The defense has five starters back as well after giving up only 24.1 points and 353 yards per game last year. That group had nine starters returning. Three defensive linemen are back including Mike Moore (36 tackles, 3 sacks, and 5 tackles for loss) and David Dean (40 tackles, 1 sack, and 7 tackles for loss). The line gave up only 121 rushing yards per game and they may not be able to match that, but could come close. The linebackers were hit hard with all of the starters from 2014 departing, but there is plenty of talent in the group. The secondary has only two starters back, but one of the is Quin Blanding. He led Virginia in tackles last year with 123, but also recorded 1 sack, 1.5 tackles for loss, 6 pass breakups, and 3 interceptions. The defense will be hard-pressed to match last year’s numbers. Virginia has a brutal out of conference schedule with games against UCLA, Notre Dame, William & Mary, and Boise State. They do have the last three of those games at home, but two are against quality opponents. In conference, Virginia will play Pittsburgh, North Carolina, and Miami (FL) on the road and welcome Georgia Tech, Duke, and Virginia Tech to Charlottesville. From the Atlantic, they will play Syracuse at home and travel to Louisville. It will be tough for Virginia to reach bowl eligibility and Mike London will most likely be relieved of his duties if they cannot get back to a bowl. Other than Virginia, it appears that the other six teams all have a chance at making noise in the ACC Coastal Division. North Carolina is tapped to win the division, but Virginia Tech, Duke, Georgia Tech, and Miami (FL) could also have a chance. Pittsburgh has a new coach in Pat Narduzzi, but a lot of pieces in place for him and cannot be discounted. It could be the end for Mike London at Virginia this year. Here is the predicted order of finish. Check back on Friday for the ACC Atlantic Division preview as well as a look at who will be predicted to win the ACC Championship Game.